The mission of Illinois Abroad and Global Exchange is to offer students quality programs and comprehensive support throughout their education abroad experience. Our vision is to foster intercultural competence and inspire global engagement for students by serving as an innovative and collaborative partner. 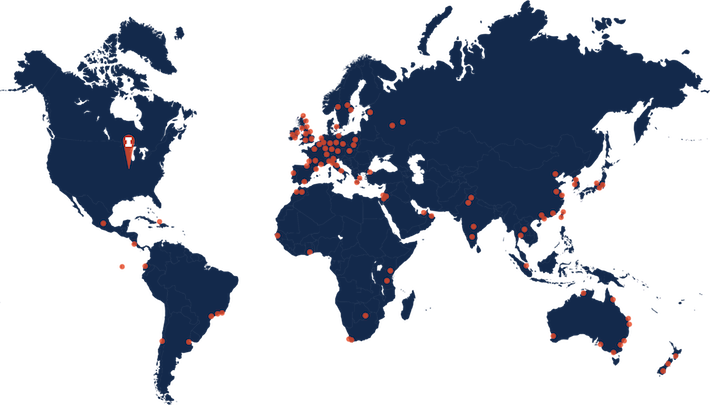 Illinois Abroad and Global Exchange (IAGE), the campus study abroad office, facilitates education abroad programs in locations around the world. We firmly believe that international education is transformative. Not only does it foster global competencies, but also allows our students to enhance their skill-sets, broaden their perspectives, and gain a deeper understanding of their given fields. As the campus study abroad office, our programs are open to students from all academic fields, backgrounds, and identities. We seek to be inclusive in our approach to study abroad and introduce our students to a multi-faceted understanding of their disciplines and a broader set of tools with which to solve complex problems. Our portfolio includes: exchange programs, direct enroll programs, provider programs, customized short-term programs, and signature programs. We also serve as a collaborative partner across campus, providing support and guidance to students, faculty, staff, partner institutions, and our colleagues in the study abroad offices across campus. We do this through our core services of Program Development, Program Management, Partner Relations, Business, Outreach and Marketing, and Systems. 24th among all national institutions for number of students studying abroad (1,945) in 2016-17 by Open Doors. Student fees contribute to the Illinois for Illinois (I4I) Scholarship Fund, a student-led initiative, which supported more than 200 undergraduate students pursuing study abroad experiences in 2017-18. 43% of all outbound Illinois students studied abroad on Illinois Abroad and Global Exchange-sponsored programs. IAGE is part of Illinois International. Illinois International refers to the nine units that report to the Vice Provost for International Affairs and Global Strategies and are dedicated to supporting campus internationalization through administrative, academic, and programmatic services and initiatives. Learn more about Illinois International. 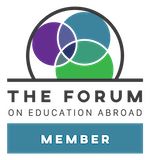 The University of Illinois at Urbana-Champaign is a founding member of the Forum on Education Abroad, a committed partner of Generation Study Abroad, and a member of the Diversity Abroad Network.